anchored in its territory, opened to the world. 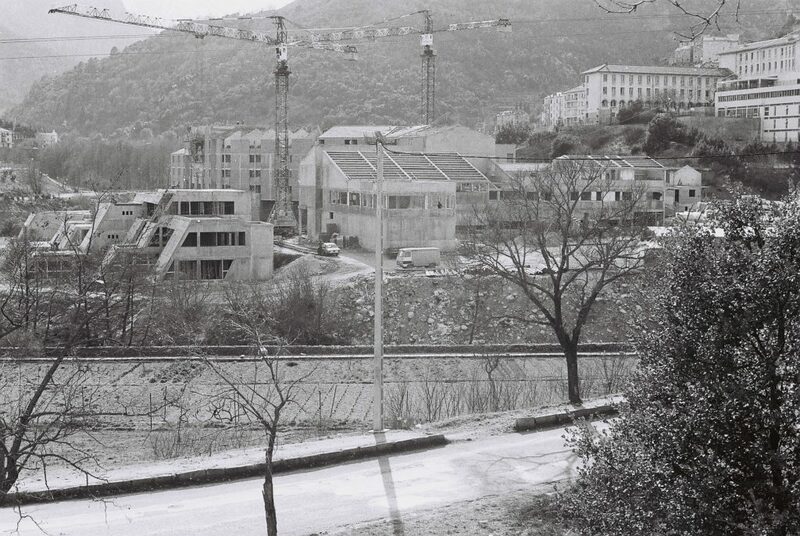 Founded in 1765 and reopened in 1981, the University of Corsica Pasquale Paoli is one of the 71 French universities. As an academic and research structure firmly anchored in its territory, it is in direct contact with major local and international issues. The University of Corsica Pasquale Paoli is a multidisciplinary institution which counts 8 faculties, institutes and schools. It offers 100 diplomas, ranging from two-year undergraduate studies to doctoral studies. Permanently concerned with the occupational integration of our 4600 students, we propose a highly professionalizing academic offer linked to the main development issues of our territory. Definitely engaged in an international dynamic, the University of Corsica encourages its students to develop a real culture of mobility. A large and varied cultural and sports offer is also available. Personal or associative initiatives are encouraged and valorised. The University of Corsica has the necessary human and material means to ensure the students the best possible conditions of education, professional integration and self-fulfilment. The scientific identity of the University of Corsica is designated by the CNRS (National center for scientific research), and evolves around 8 fundamental, multidisciplinary projects. Strongly oriented toward regional development, each of these projects associates fundamental as well as practical research resulting in actual realizations of high added value. The University of Corsica has a strong interest in several scientific domains concerning sustainable development and environmental issues (Laboratoire CNRS-Université de Corse Sciences pour l’Environnement, Laboratoire CNRS-Université de Corse Lieux, Identités, eSpaces et Activités). The University of Corsica is also endowed with research structures dedicated to the legal aspects of scientific research (The Patrimonial and Business Hosting Group) as well as public health (The Corsican and Mediterranean Bioscope Hosting Group). 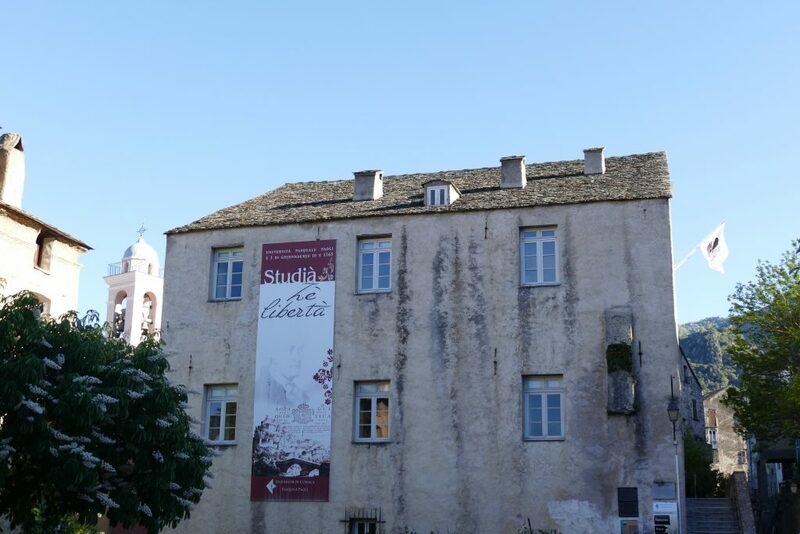 The University of Corsica strives to develop and transfer its research activity to society as a whole through four platforms: two dedicated to Technical Sciences: MYRTE/PAGLIA ORBA and STELLA MARE (UMS CNRS) and 2 in the Humanities and Social Sciences: M3C and LOCUS. Founded in 2008, the Federation for Environmental and Societal Research (CNRS / INRA / Université de Corse) embodies the University of Corsica’s commitment to develop interdisciplinary research and innovative sources of prospection on the scientific frontier. 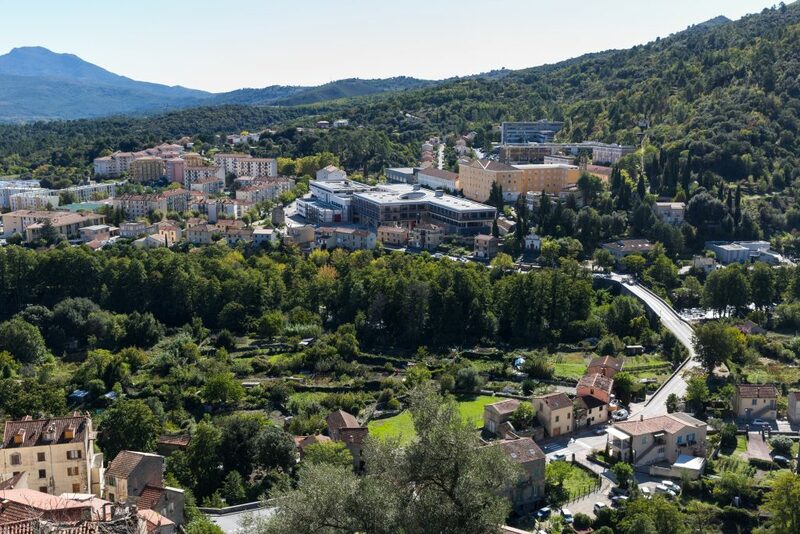 Yearlong, the University of Corsica organizes and/or hosts international symposiums as well as being involved in several major networks: the Institute for Scientific Study in Cargese (Université de Corse / CNRS / Université Nice Sophia Antipolis) is one example. 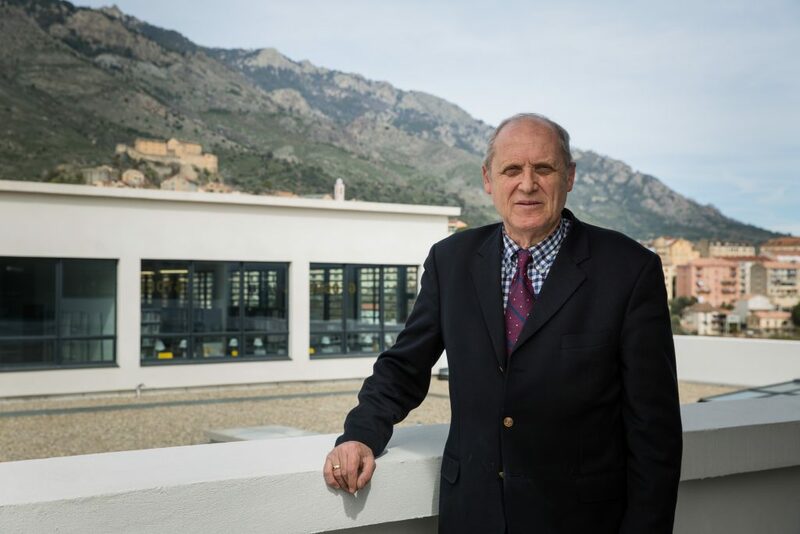 The University of Corsica is strongly involved in the socio-economic development of its territory, which is a strategic axis of the institution. This has resulted in the development of technological platforms linked to the professional environment (STELLA MARE, for example, whose scientific objectives are closely correlated with the economic objectives of island aquaculturists and fishermen), or in the opening of a Fab Lab whose purpose is to facilitate, through digital tools, the economic production, especially in the craft world. The strengthening of the links with the socio-professional world is also reflected in the academic offer, in the action of the Foundation of the University, in the creation of services dedicated to the professional integration of the students or in the development of a spirit of entrepreneurship throughout the university curriculum. More broadly, because of the values it nurtures, especially the proximity between the players and the attachment to a pioneering spirit, the University of Corsica articulates people and skills, practices and ideas, resources and projects. Backed by profound convictions, it deploys its historical and geographical heritage in a spirit of citizen openness in the service of knowledge, youth and Corsica. AND ALSO. 1 university foundation. 370 teachers and researchers. 600 professional speakers for education. 220 administrative staff. 84% of Master’s graduates have a job! 73.8% of the 2013 Master graduates have a permanent job. AND ALSO. 5 amphitheatres, 120 classrooms, 20 computer rooms. 25 concerts and plays each year and 20 cultural workshops a week. 30 weekly sports activities. 500 job offers and internship opportunities every year. Flagship platforms for technology transfer. AND ALSO. 6 research units. 150 doctoral students per year, among whom 20% are foreign. +100 scientific events. 3 Foundation / LISA laboratory Chairs. 1 mixed Chair with the Inserm Institute. Academic and research partnerships around the world. Strongly invested in the international dynamic, it is linked via exchange programmes to more than 100 institutions, and it is part of a Euro-Mediterranean Research and Cooperation Association alongside the French universities of Nice Sophia Antipolis, Paris VI, Toulon, and the Italian universities of Pisa, Genoa and Turin. It has also created the RETI (excellence network of island territories), a network of 27 island universities around the world.